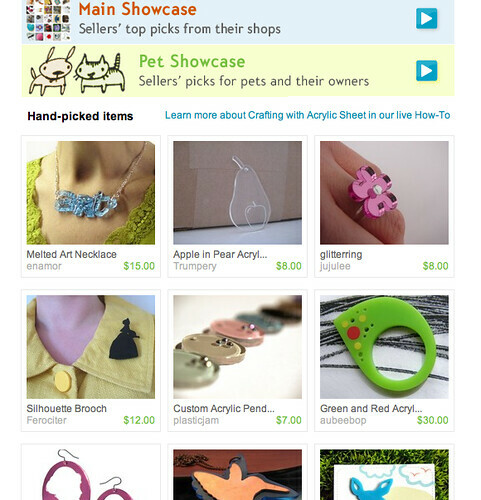 My Melted Art necklace was featured on the front page of Etsy this afternoon! I’m currently working on painting a chair which will be auctioned off for the Red Cross. When I’m done, I’ll post some pics.